Bottom line: iOS has increased its US market share on the back of strong iPhone 8 and 8 Plus sales, but it still lags far behind Android, both at home and abroad. 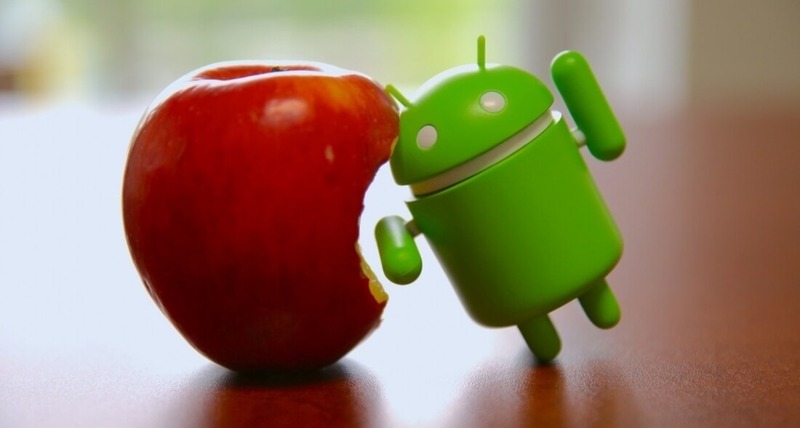 The latest smartphone OS sales market report from Kantar Worldpanel has arrived, showing us how Android and iOS are squaring up to each other across different locations. In the US, Google’s system remains firmly ahead, but Apple has jumped 5.9 points over the last year to gain a 38.7 percent market share. For the three months ending June 2018, Android captured 61 percent of the US market, marking a 4.5 percent fall compared to the same period one year earlier. It was an excellent period for Apple: strong sales of the iPhone 8 and iPhone 8 Plus meant that its devices made up eight out of the ten best-selling smartphones during this time. Kantar Worldpanel's Dominic Sunnebo added that the variety of iPhones available at different price points, from the cheapest iPhone SE up to the $1000+ iPhone X, also contributed to the lineup’s success. Android had an even tighter grip on China where handsets sporting the OS gained an 80.4 percent market share, up 2 percent YoY, while iOS fell 2.1 points. This was despite the iPhone X being the best-selling device in the country every month since its release last November. Apple’s flagship made up 5.3 percent of all handset sales in China during the recorded three-month period. With so many Android devices available in the Asian nation, no single model could challenge the iPhone X’s popularity. It was the same story of Android dominance in Europe. One of the continent’s highest iOS market shares is in the UK, where it stands at almost 35 percent. 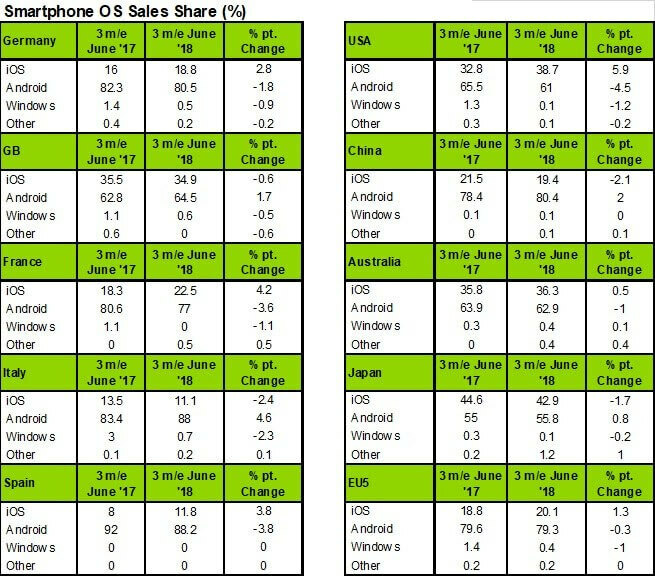 Elsewhere, Japan was the country with the highest iOS market share (42.9 percent), while Argentina has highest Android market share (96.1 percent). Apple’s total market share is likely to fall over the coming months in the runup to the next iPhone launch, at which point iOS device sales will likely see another boost.